Ever felt blue? Ever sat quietly in your house or office and felt inner discontent. If you have a pulse, you've probably experienced what I'm talking about. That inner feeling that just says, "blah"! It's not a fun feeling. There is an antidote. It's called gratitude. Gratitude is a wonder working quality that we can cultivate in our lives. It is very simply, requires little effort, provides comfort, and changes our perspective. 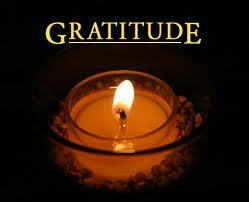 So, as an example of how to exercise gratitude, I am now going to write a gratitude list to share with you. Once you read mine, create your own and see if you feel any different. To live in the United States of America. That I am alive today. That I have freedom of speech. I have eyes to see, ears to hear, a mouth to speak, hands to do many things. I have feet to walk. I have access to clean drinking water (1 billion people at this very moment do not). I am learning to be grateful. It's not easy. Life doesn't meet my expectations all the time. I sure you've experienced the same thing. However, we can always choose gratitude. When we do, we find out life is not that bad after all. What great news to consider when we're feeling "blah" on any given day. At The Coleman Institute, we specialize in helping people get clean clean and stay clean from alcohol and drugs. We are grateful we get to help patients get clean so, in turn, they can experience the gift of gratitude and share it with others. If you or someone you love is in need of detox from opiates, alcohol, benzos, Methadone, or Suboxone, please do not hesitant to call Jennifer Pius at 1-877-77-DETOX (33869). Help, hope and healing begin here!